Children as Authorities is a study on the use of power by children. The project asks what kind of reality would children create, if it was in their power. 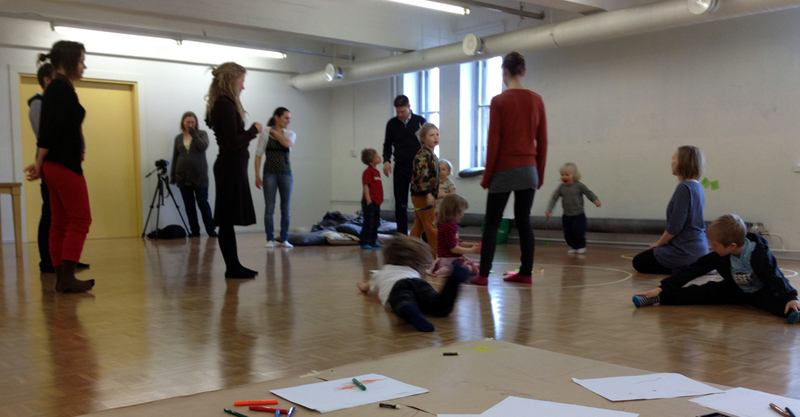 The project has been realized as a series of performative workshops held in kindergartens and schools. Different versions of the workshop have been held to different age groups: in kindergartens, in lower and upper elementary schools, in high schools and for special groups of dyslexic and disabled children. Each workshop consists of three interlacing phases. The starting point is asking the question of power from children: what does it mean to them and how does it manifest in their lives? Secondly the artists and children study power through excercises and experiments. Thirdly power is performed in different ways during the workshop. Children as Authorities is contributing to the tradition of applied arts, creating applied forms of experimental theatre and live art. It is also a pedagogical experiment, aiming to a system of Pedagogics of Reality Experimentation. The first version of the pedagogical system has been developed during 2013 and published in 2014 as the book Children as Authorities – Teacher’s Guide. Also, we have held introductory courses for teachrers, guiding to the use of the methodology. Children as Authorities was developed as a part of Utopian Reality, which was Reality Research Center’s research project of 2012-13. Utopian Reality strove to create utopian practices and forms that could enter the society and the everyday life of it’s participants. Website Design by Visa Knuuttila.